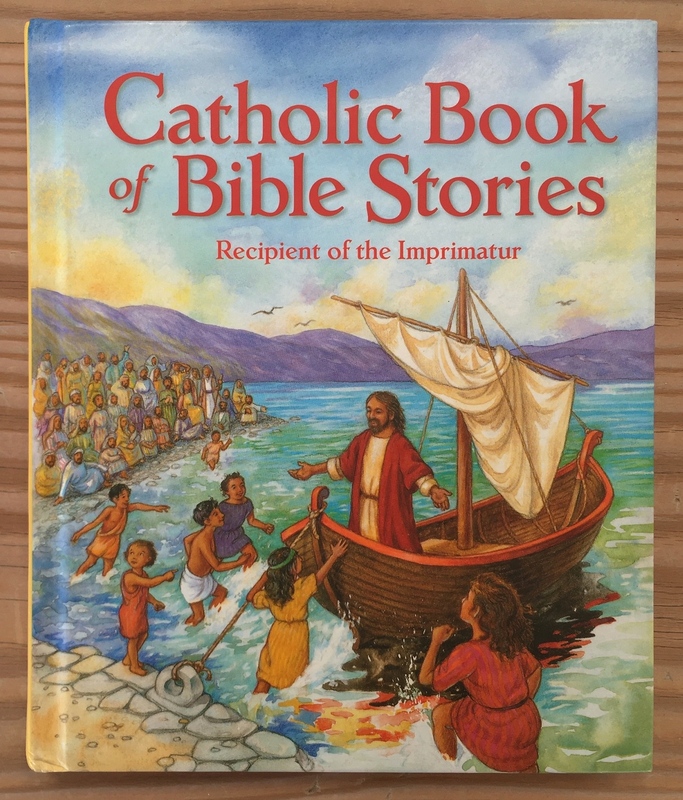 Last year, as I was reading a Bible story from a beautiful First Holy Communion Bible, I realized that the illustrations looked very much like a Disney story. The picture for the story I was reading could have been from “Aladdin” or “Snow White.” I asked the children if there was any difference from this story about Jesus and a story about Snow White. One little girl assuredly said, “No! No difference at all.” I understood what she meant. It looked exactly like a colorful illustration from children’s literature. The artistic style was the same. 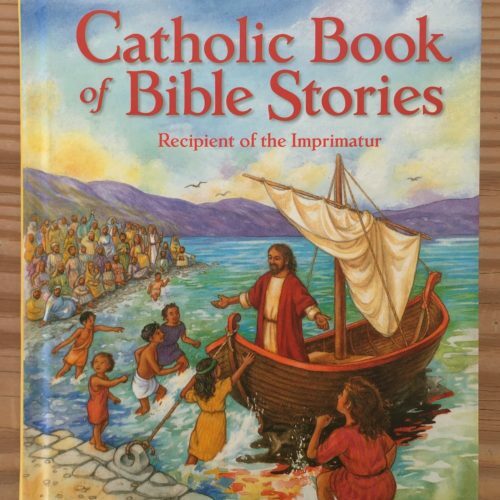 I stopped reading from that Children’s Bible because the illustrations were too close to a Disney book. 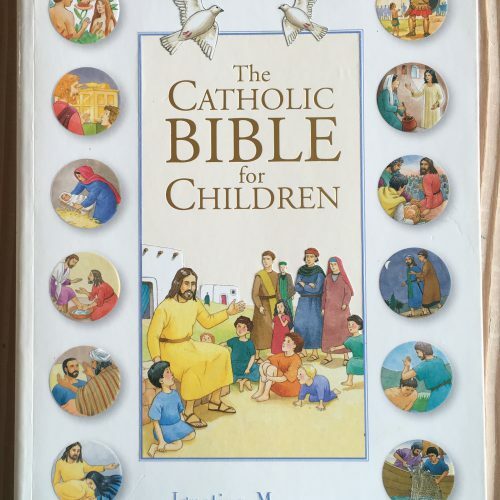 The two Children’s Bibles below have simple illustrations that are respectful, and helpful. 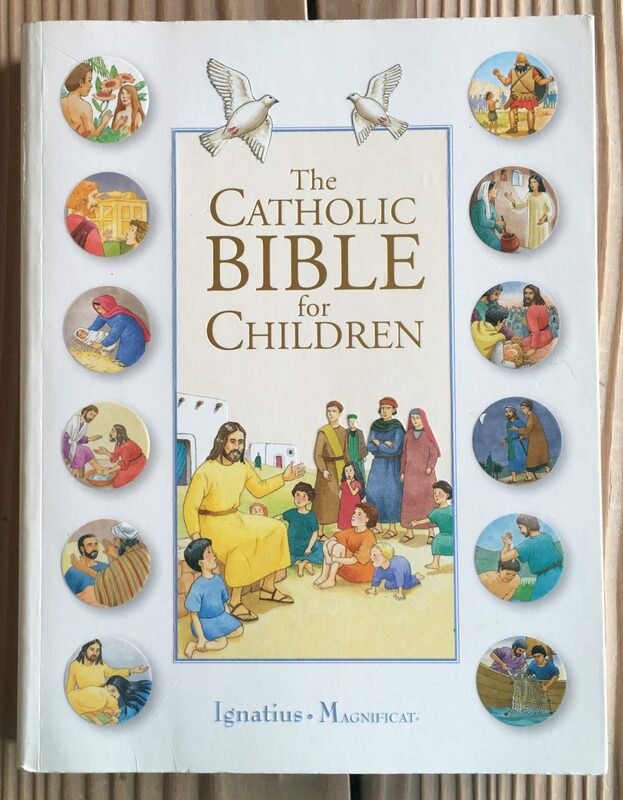 I believe that the children should hear a reading directly from the Holy Bible, in addition to their children’s Bible or children’s literature about Bible stories. It can be a short excerpt, at first. 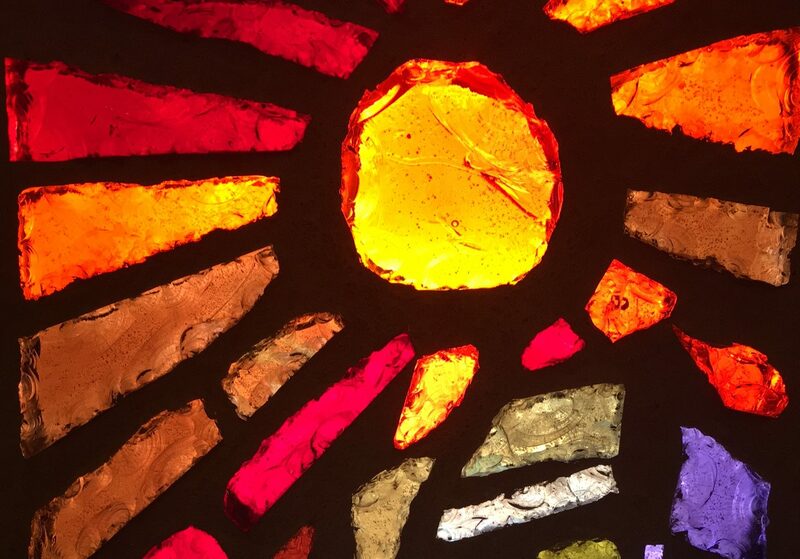 You can talk with your children about the images that come to mind when they hear a passage. Ask them to describe what the passage means. You can ask them to describe their “mental picture” of the scene from the passage. When we talk about “holy” tell your children that it means “set apart.” The Holy Bible is holy–set apart– from other books. I physically “show” the meaning of “holy” by placing our books carefully on the floor, and that is acceptable. 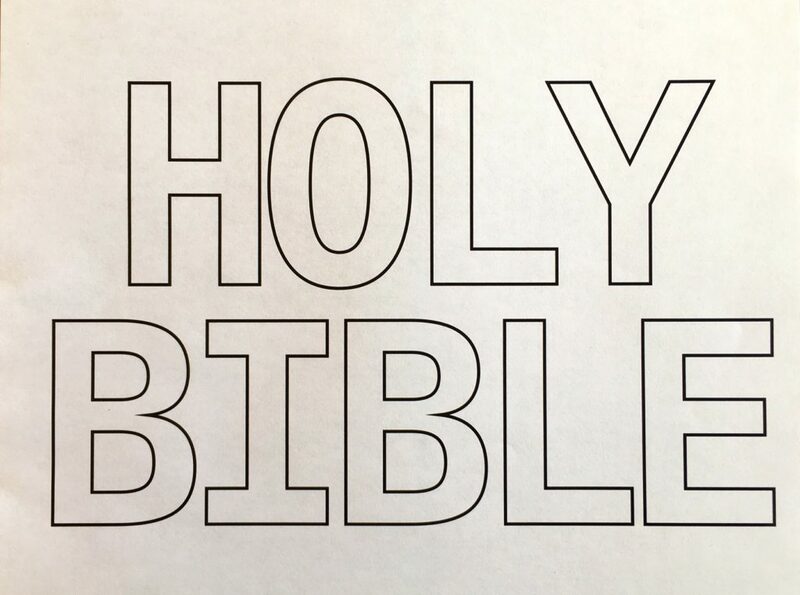 The books are not “holy.” The Bible, however, is “holy” and because of that it is “set apart,” not thrown in a backpack or in a toy basket. It requires a special place in our home or Sunday School classroom.